G. M. Malliet's first St. Just mystery won the 2008 Agatha Award for Best First Novel, and was chosen by Kirkus Reviews as a best book of the year. It was nominated for several awards, including the Anthony, the Macavity and a Lefty Award for best police procedural. Her series from Minotaur featuring a former MI5 Agent turned vicar of a small English village debuted in Autumn of 2011. Of the fourth book in the series, Cleveland.com raved: "[Malliet] may be the best mystery author writing in English at the moment (along with Tana French). She's certainly the most entertaining." She attended graduate school in Cambridge and Oxford; she and her husband travel frequently to the UK, the setting for her books. 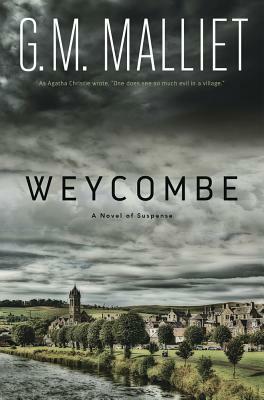 Weycombe is her first book of dark suspense. You can visit her at www.GMMalliet.com.